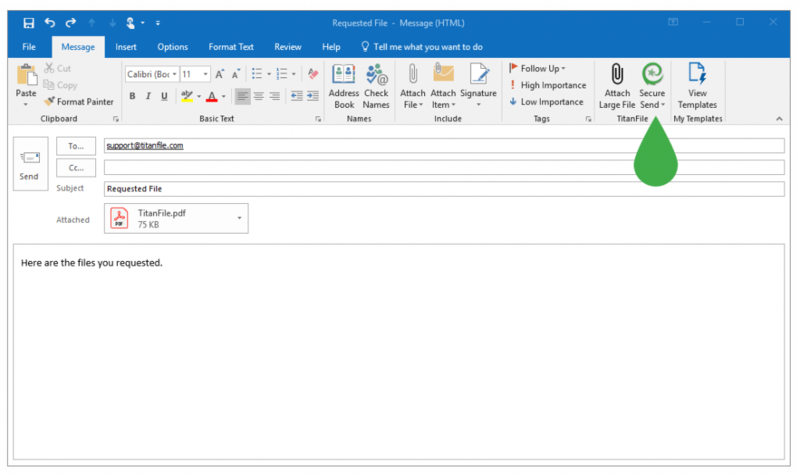 TitanFile’s “Secure Send” add-in for Outlook allows you send encrypted files directly from the mailing application. Unlike Outlook’s built-in encryption which require both the sender and the recipient to support the same encryption , TitanFile’s add-in guarantees encryption of files to all recipients, making sure all your email attachments are secure in-transit and at rest. The 20MB file attachment size limit of Outlook can be quite a nuisance when you want to send a larger file. TitanFile’s Secure Send add-in enables you to bypass the 20MB file attachment size limit of Outlook, which means you to send large files of virtually any size (depending on your subscription plan). Sign up for a 15-day free trial to get access to the add-in or explore more TitanFile features.